Editor’s note: This is the second in a series of posts profiling several of our Vista® Education and Training facilitators from around the world. For more information on our Vista courses, visit vista.cookmedical.com/urology and choose your region. In 2010, Dr. Janak Desai proposed ultra-mini PCNL (UMP). Today, as interest in UMP grows, Dr. Desai travels around the world conducting training workshops. To date, he has visited 35 countries. In addition to his traveling trainings, Dr. Desai leads several Cook product-focused Vista courses on PCNL and retrograde intrarenal surgery at Samved Hospital in Ahmedabad, India. We recently spoke with Dr. Desai about his approach to education and the growing interest in his pioneering procedure. Q: How long have you been collaborating with Cook from an education standpoint? A: Roughly two years ago, we started doing some educational courses in the form of workshops, master classes as we would call them here, with live surgery cases, and we would invite anywhere from five to ten urologists who want to see the procedure, want to see the products, and want to bring the best outcomes for the patients. 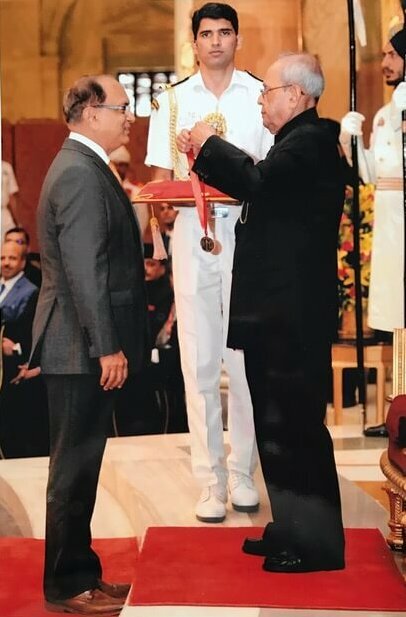 The president of India, Shri Pranab Mukherjee (right), presents Dr. Janak Desai with the Dr. B. C. Roy National Award during a ceremony at the president’s house in New Delhi in 2017. This award is given each year to roughly five or six people from across India who have made a significant contribution to medicine. 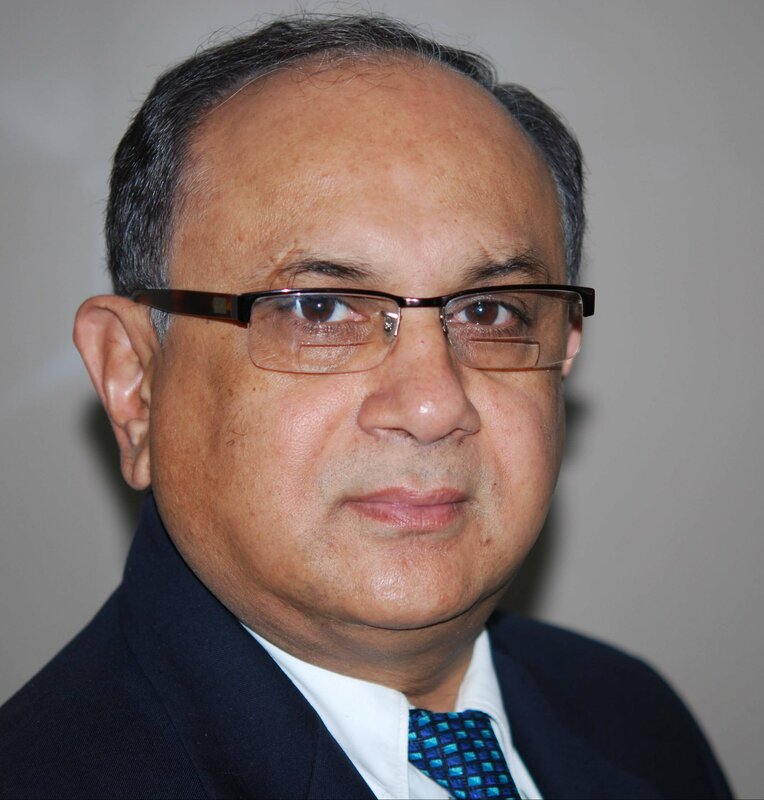 Several years’ worth of awards are often presented at the same time, and Dr. Desai was being recognized as a 2014 recipient for his innovative efforts with the UMP procedure. Q: What is it like at a typical workshop? A: Typically, there will be about four stone disease cases where we would do a mix of PCNL and ureteroscopy—it could be [flexible ureteroscopy], it could be semi-rigid—and we start with the basics, how to select cases, ideal indications, how we will start using the equipment, and then we start with the first case and there is a live dialogue between the theater [OR] and people sitting outside so they can ask questions. [Attendees] are free to say, “Can you please go a bit slow? Can you repeat this?” Then, once this case is over, we go back over the procedure, and it’s an informal dialogue with the attendees to help them be confident using the products [including Cook products], and if they are already doing the procedure, they feel more confident taking up more complex cases. We run the whole course from morning until evening—cases, then in between lectures, a case again, then a lecture again, and then people can ask whatever they want. Q: What product(s) do you focus on? A: In PCNL, it’s the dilators and the [wire guide], but in [flexible] ureteroscopy there are a lot of things—the balloon for when you enter the ureter to dilate the [ureterovesical] junction, then comes the [wire guide], then comes the access sheath, then come the baskets. The NGage® [Nitinol Stone Extractor] is one of the most important products when you want to do [flexible] ureteroscopy. As its name suggests, it engages the stone so very fast. Q: How has ultra-mini PCNL impacted urology? A: [Ultra-mini PCNL] is what people are interested in learning, and UMP has caught attention very much in the Asian circuit, very much in the European circuit, but it took a while to be noticed in America. [This year] for the first time in the AUA, ultra-mini PCNL was discussed very extensively. They have started to realize the advantages of miniaturized PCNL. If you do a 2 cm stone with [flexible ureteroscopy], you may stage the procedure, you end up putting a double-J stent, so the patient bounces back to the operating room for the third time for the removal of the double-J stent. Whereas UMP is a single-stage procedure. The only challenge is the puncture, which in all my international debates, the [flexible ureteroscopy] guy ends up saying, “Well, after all, it’s a puncture,” and I keep on telling him, “Well, after all, it’s just a puncture.” It’s how you put it. It’s good for [the physician], good for the patient, cheaper for the healthcare system, so what more do you want? Dr. Desai is a paid consultant of Cook Medical.